Getting electrocuted can be life-threatening due to the electrical injury caused by the current. Data gathered by the Bureau of Labor Statistics prove that the most occupational electrocution accidents happen in construction. Because of this and to help personal injury lawyers from Indiana learn to deal with this type of cases, the best electrical shock attorney in the US, Chris Beard is offering his knowledge through this website. You should be aware that Indiana follows the Modified Contributory Negligence. This means that any chargeable fault can diminish the value of the compensation. Furthermore, in Indiana, the liability of the governmental entities is limited to $700,000 for an injury or death per in any one occurrence per person if the accident occurred after January 2008, $500,000 if the accident occurred between January 2006 and 2008 and $300,000 if the accident occurred before January 2006. These limitations apply unless modified by the court. Now it is time to discover Chris’s tips and trick which can help you increase the chances of winning your electrical injury case. You should discuss with your client and explain to them that taking photos of the accident scene can provide crucial evidence that will help prove the entity liable for the electrocution. It does not really matter if the electrical injury is an occupational accident (like in construction workplace) if it is electrocution from a battery, phone charger, or another device, or if the electrocution happened because of a missing hazard sign. The device or tool that is responsible for the accident? The tool, object or device that caused the accident should be preserved for further investigation. This investigation will determine who is really liable for the accident. To better understand how the accident occurred, you should discuss with the electrocution victim’s coworkers or family, depending on where the accident took place. Do this as soon as possible to ensure the memory of the witnesses is still fresh. Both alternative and direct current are very dangerous and can cause various injuries including permanent disability. Some of the most common electrocution injuries suffered in Indiana include scars, brain damage, nerve damage injury, electrical chronic pain, arrhythmia, and many more. In addition to this, the effects of the electrical injury can be even direr if the accident occurs during pregnancy. Make sure you get all the medical records of the victim. Indiana electrical injury lawsuits are not straightforward at all, especially if you don’t know the municipal and state building codes. 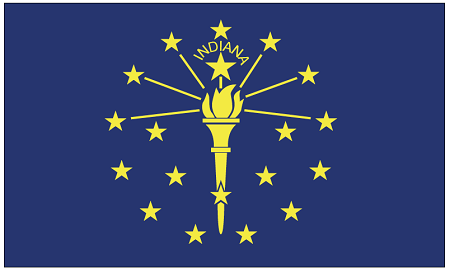 Certain cities in Indiana such as Indianapolis, Evansville, Fort Wayne, Bloomington, Lafayette, and many more have adopted their own local building codes, so make sure you look it up. To increase the chances that the electrocution victim receives the compensation they need and deserve, you, as their lawyer from Indiana, should prepare them to give an official statement. Tell them not to discuss with the insurance company about the electrical injury without you being there. If you find the right witnesses, you can prove the liability of the responsible person or entity. You should start talking to witnesses as soon as possible before they “forget” what happened. As an Indiana electrical injury attorney, you should get in touch with the best electrocution injury experts from various fields such as construction, economists, safety experts, electrical engineers and many more. In most electrical injury cases, the liable party can be found in the chain of distribution and it is the lawyer’s job to find out who they are. The manufacturer, designer, distributor, retailer, supplier are some of the entities from the chain of distribution. Many injury lawyers from Indiana believe that electrocution claims can be dealt with just as other lawsuits. If you want to ensure your client, the victim, receives the maximum compensation possible, you should get in touch with Chris Beard. Chris is one of the best electric shock lawyers in the US and he knows all the best tricks in dealing with this type of cases. Furthermore, over the years Chris has built a nationwide network of the best electrical injury experts which can analyze the defective products responsible for the accident, but also testify in court as a witness if needed. Click here to find out more about how you can legally cooperate with Chris Beard. You can also contact Chris Beard directly by calling (888) 300-0585 or sending an email at [email protected].